With less than a year after their release, Intel are already retiring their Kaby Lake-X processors. Initially introduced with the X299 platform, the Intel Core i5-7640X and Intel Core i7-7740X were quad-core entry models into the HEDT platform. Unfortunately, they never really took off as planned. Intel openly admitted that market demand for the Core i5-7640X and Core i7-7740X has shifted to other Intel products. Therefore, the two aforementioned models will reach end-of-life status on May 7, 2018. Retailers, suppliers, and OEMs can still order these processors up to November 30 of this year with the last shipments scheduled for May 31 of next year. Goodbye, Kaby Lake-X. It was nice knowing you. Of course they didn't take off, because consumers cottoned on to Intel's old shenanigans and realised they offered nowt over the previous gen!! I hope this means they will not repeat this mistake with Cascade Lake-X, which will arrive soon. Putting non-HEDT CPUs on a HEDT platform is useless, not only because it confuses the consumer, but also wastes a lot of precious resources for the motherboard makers. I want them to put these resources into making good BIOSes with good memory support. No, only when launching new architectures. Skylake-X is not behind Coffee Lake. So this is basically official acknowledgement of what was rumored back in early April? Kaby Lake-X was a DOA-sounding idea well before it launched, no tears shedding here over it going bye-bye. They bombed. If they were high binned (like 4.70 turbo) with solder and 40 lanes they'd sell like hot cakes among enthusiasts. 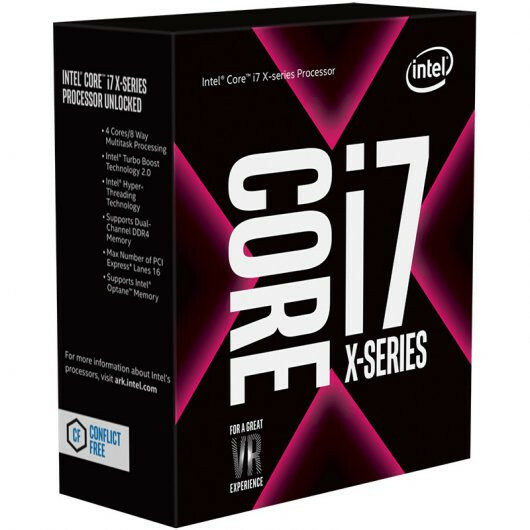 what exactly does it offer over a 7700k? Nothing. I've seen 7700K do 5.3GHz. Moving to TR 2 3000 myself. Never said it offered more, just that it has been fun to play with. Also, most of the 7700K CPUs do not have this good of an IMC. Many of the high speed RAM makers wanted this chip for testing, as it was one of the only ones to hit 4600MHz reliably just by clicking the XMP profile. Those two cpu's where al ready a failure in my opinion before lauch. Lauch a cpu that only have dual channel ram support on a quad-channel platform and you also needed to bay an exspensive motherboard. And you cut get the same performance on the little socket platform for cheaper + the tdp of those chips is rediculess for a modern quad-core cpu. With the lauch of the coffee lake chips really dit the last to kill of those 2 cpu's. Kaby lake x shut never had been lauched. A failure where al ready destened for them even before lauch. Last shipments scheduled for May 2019.. still has another year on market. Still a better buy than 7700K with some ridiculous ROG maximus board. Better go 7740X and a mid-range x299. Probably better in the aspect of being able to upgrade if need be, but thats about it. That being said dishing just tad more cash for a 7800X, makes a lot more sense. As soon as Coffee Lake launched with 6 core parts there was literally no reason to go Kaby Lake anymore especially on the desktop variants. Pretty much a dead platform as far as upgrades go. You are better off even with a 8600K, that being sad I'm not sure about the longevity of LGA1151-V2 either. There was literally no need to release these on the X299 platform. What was even more pointless and/or sad is that some boardpartners released cutdown KBL-X only X299 boards with only DC memory arrangements. Intel's worst problem is the constant socket and motrherboard changes. Not a bad chip tho. Questionable releases to say the least , I wonder what was their thought process. It it is a horrible marketing and manifacturing decisions. If proposed to me at zero cost, ill take an X299+7740X combo over an X370+1600X one. Sorry. What are you talking about? a 1600X @ 3.9 gets like 1300 CB and a 7740x @ 5.3 gets ~1200 in a fully threaded benchmark. the 1600X gets smoked in almost everything but specific heavily-threaded apps (which are still not the norm) and multi-threaded, non-gaming benchmarks and even then it just barely eeks out a victory. Did anyone actually know one though? I mean, from the start they were pretty bad chips that didn't make much sense. 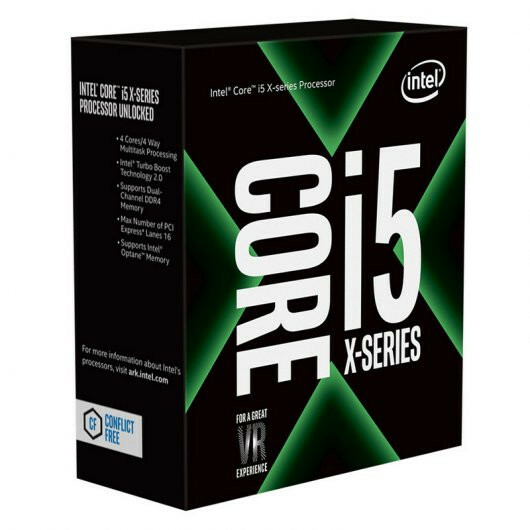 I am curious, does it offer a better IMC than Coffee Lake? In that case you might as well say you take an X299 + 7980XE combo. Fact is even Intel's other offerings trash that ridiculous rebranded 7700k bonded to a LGA2066 socket. Even the new i5s are Hex-cores now, I take those and a decent Z370 broad over that 7740X any day. And on some X299 broads, the 7740X offers LESS usable PCI-E slots than the 7700K + Z270 combo.